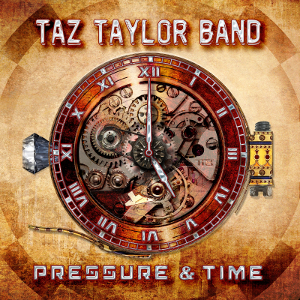 Hard Rock band TAZ TAYLOR BAND led by guitarist Taz Taylor from the UK, will release their fifth album “Pressure And Time” through Escape Music on June 23rd. The band has released so far four albums, “Caffeine Racer” (2004), “Welcome to America” (2006) and “Straight Up” (2009), “Deja Voodoo” (2014), featured guest appearances such as Graham Bonnet (Rainbow) and Keith Slack (MSG) on lead vocals and Don Airey (Rainbow / Deep Purple) on keyboards. They toured with the likes of Ace Frehley, L A Guns, Molly Hatchet, Dokken, Skid Row, MSG and Great White to name but a few. 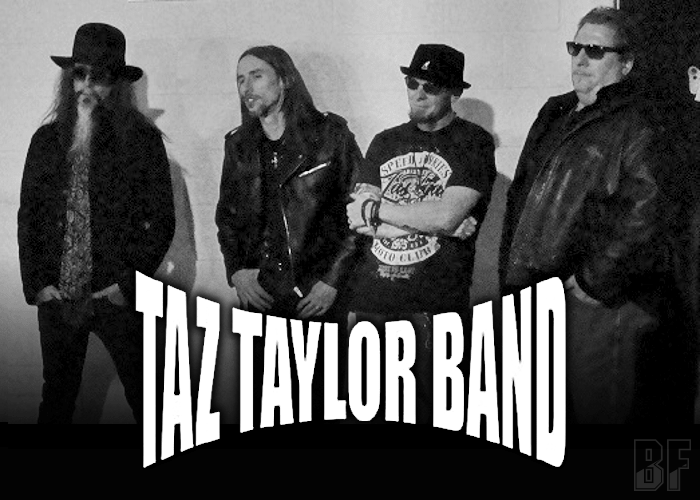 The new album has 12 tracks chocked full of exciting ideas and quality musicianship, original members Val Trainor (drums) and Barney Firks (bass) lay down a great rhythm backbone for Taz to show off his guitar playing prowess and it features Chandler Mogel (Outloud / Punky Meadows) on lead vocals. Produced by Richard Blitz Livoni and the album cover artwork was done by Tristan Greatrex.